Adventure Labs has teamed up with their partners to gift one of their fans with amazing photography gear! 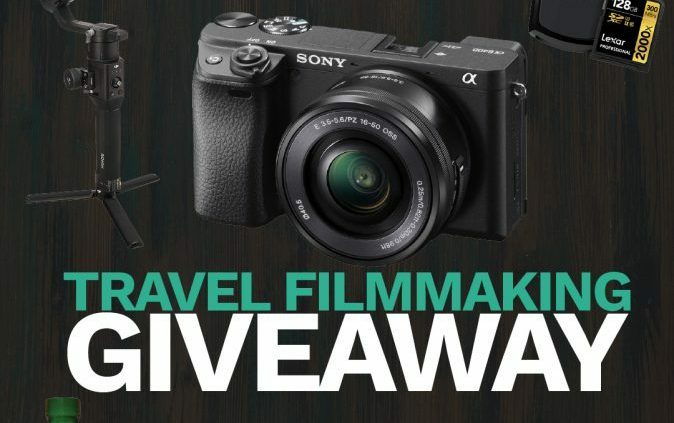 To enter in this $3000 Worth of Camera Gear Giveawaygrab your free entries by following few simple steps listed down below! Designed in a single-handed form factor for DSLR and mirrorless cameras, the Ronin-S empowers creators to shoot with the freedom of stabilized shots on the move. The Ronin-S gives independent filmmakers the power to capture spontaneous moments with clarity, smoothness, and a refreshing perspective. SmoothTrack applies to all three axes. Hold down the front trigger to transition from Upright to Underslung Mode in one seamless movement with no gimbal framework obstruction. New Sport Mode allows you to capture fast-moving scenes instantly. Bonus entries: Share your referral link with friends to get an additional 100 entries for each person who enters through the link. Not known how winners are going to be contacted, probably by email and announced in a giveaway widget shortly after giveaway ends.